Apple engineers and developers have been working round the clock to come up with more amazing application for apple enthusiasts. Imagine what will likely be unveiled when not hundreds but thousands of apple engineers and developers converge to launch new apps and programs. Now this will actually happen at the WWDC 2014 (Worldwide Developers Conference) on 2nd to June 3rd. There’s no doubt that from that day life will be much better with the new Apple products to be introduced at WWDC 2014. Here’s what to expect on those two big days of WWDC 2014. If you are an Apple fun then you must have come across articles or adverts of the new iOS 8. Codenamed Okemo, this is the latest version of operating system to be used on iPhones and iPads. It’s currently under development by Apple Company and download links have already emerged online for those who would love to experience real mobile technology. 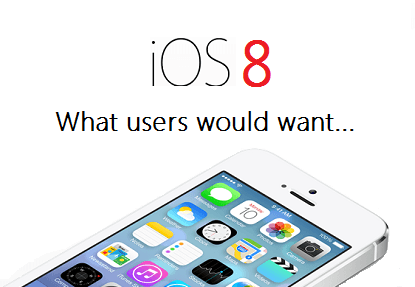 iOS 8 is one of the product expected to be showcased on that conference. Some of its amazing and powerful features include; polished design, interaction and animation, and better core functionality. Word on the streets states that other important features that will leave us with a buzz are; separate iTune radio app, healthbook app, improved maps, voice memo and photo-stream, and inter app communication. If you have used the previous version of Haswell MacBook air that was unveiled at WWDC 2013 then you have an idea how hot it is. This time it’s expected to be much better and even hotter. Rumors are that this 12-inch Retina MacBook Air to be introduced at WWDC 2014 will incorporate various top-notch features and. You won’t have to worry about your gadget’s battery power since its energy efficience is greatly improved in WWDC 2014. Codenamed Syrah, OS X 10.10 Syrah is the latest version of Mac OS that is also expected to be unveiled at that conference. Those who will be in attendance that day in San Francisco will witness the introduction of a whole new generation of Apple’s operating system. Although official release may be scheduled for October, the new features that come with this OS will be communicated. It is said that the operating system will continue with the works of OS X Mavericks and provide better features such as pro-user friendly. In terms of energy efficiency, it will be among the best of Apple’s releases to serve you best. Well this is just a preview of the goodies to be unveiled on WWDC 2014 in San Francisco. All Apple fans will have something to smile with the introduction of Apple’s new products. It’s no secret that Life will not be the same!